I originally had a Hornady bullet feeder die attached to my RCBS Pro 2000 press. After ages of fiddling with it, I got it to feed successfully around 90% of the time. Then, after a year, the collet broke. The new one they sent me resulted in my getting 50% successful drops AT BEST. I spent more time messing with the feeder than if I simply manually seated the bullets. At wit's end, I took a chance - based on a single review - and bought the Mr. Bulletfeeder assembly. I was able to jury rig it to my RCBS bullet collator and within 5 minutes was churning out cartridges. I've now loaded at least 500 rounds and have had just one failure to drop a bullet. This thing ROCKS! Don't be turned off by the price. Its a small price to pay to keep your sanity. And, my wife appreciates not having to hear all the yelling and cursing from my trying to get the Hornady to function. 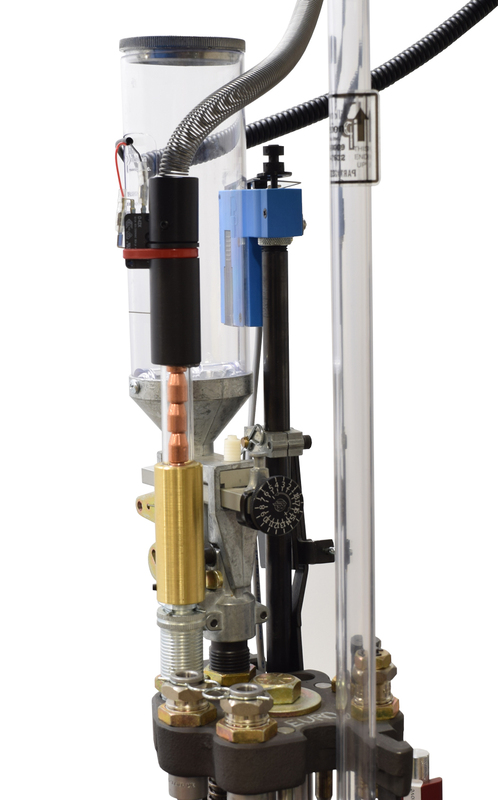 The Dropper Assembly is a critical component of the bullet feeder, and in the PRO model it has been further evolved and improved. Since the dropper is gravity powered, by increasing the weight of the assembly we are able to get a more reliable and more consistent performance. In the case of the PRO dropper, the brass section is twice as long and so twice as heavy as the original Mr.Bulletfeeder, preventing hang-up which could happen due to excessive feed-spring sideways tension or friction to the dropper. The Mr. Bulletfeeder PRO dropper uses all-steel parts for the die section to further add weight and durability for the large volume reloaders.